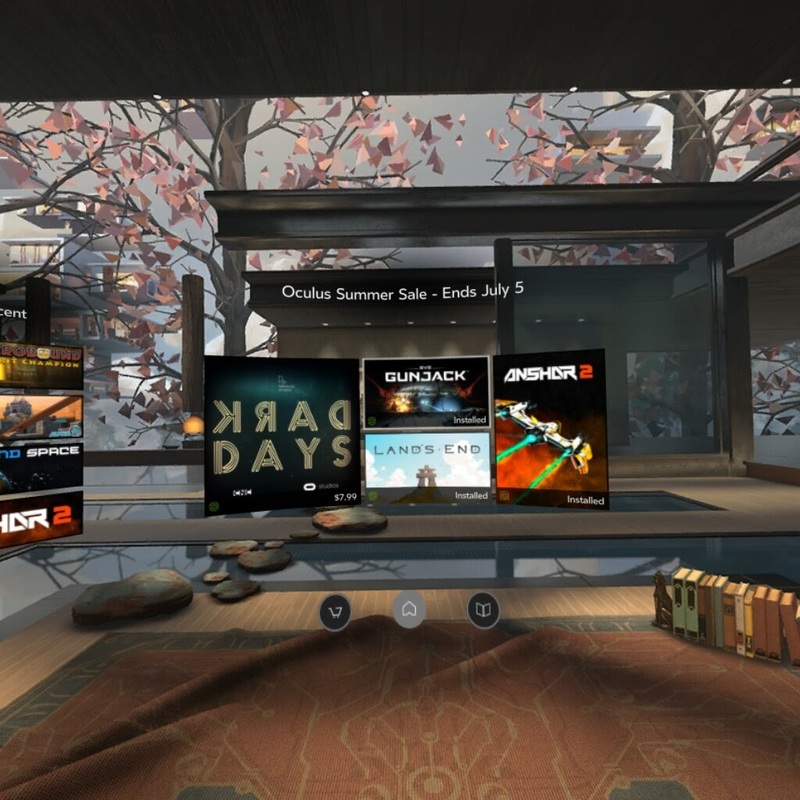 The Samsung Gear VR (reviewed here) home menu has been updated to look like the menu of the Oculus Rift (previewed here). I think it’s a good move for the Gear VR by reminding people that Gear VR is powered by Oculus, further distinguishing it from Google Cardboard. It also strengthens the Oculus brand, letting people know there’s a desktop version and a mobile version. For Gear VR owners looking to upgrade, the familiarity could also entice them to choose Oculus Rift instead of the HTC Vive. The change in menu comes just as Oculus started its summer sale with up to 75% off many popular games. Update: there are a few differences between the Gear VR menu background and that of the Rift. First, the Rift menu background is animated. There’s a glowing fireplace, and the waters around the [amazing] living room flow gently. On the Gear VR, the fireplace is turned off, and the waters don’t move. Second, the Rift menu background is 3D 360, whereas the Gear VR menu background is 360 but not 3D. Preorder the Insta360 Nano on June 28!